Staff were friendly and helpful. King room was nice and bed comfortable. Breakfast was ok. 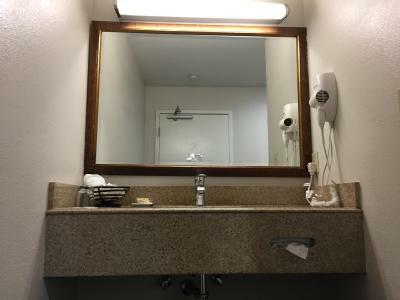 The motel was absolutely spotless. Bed and pillows were comfy. Breakfast was normal for a continental breakfast but the coffee was delicious and hot. 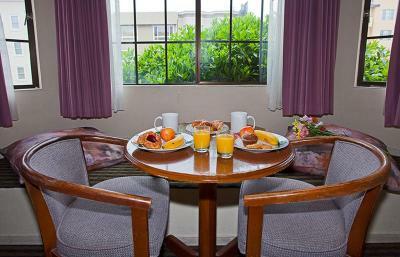 The bed was very comfortable and breakfast was simple but presented well and the temperature of the juice and milk good. They had cereal, yogurt, bagels and pastries. The free parking is a big plus. The location was good but we needed Lyft often. Public transportation was difficult for us. We had a hard time understanding where things were and how to get there. The front staff was not helpful th that regard. Her English was poor and when ask directions she did not know. She would only offer to sell us tickets on the double decker open air bus. Lyft was an average of 11.00 to pier 39, fisherman’s wart and the Art distric. Location was relatively central to key tourist locations like marina district and fisherman’s wharf. Great location with free breakfast and free parking.. Location was close to everything. Staff was very nice. Hotel was clean. Served breakfast, nice view from roof, good location. It was nice 2 have actual glasses not flimsy plastic ones. Buena Vista Motor Inn This rating is a reflection of how the property compares to the industry standard when it comes to price, facilities and services available. It's based on a self-evaluation by the property. Use this rating to help choose your stay! 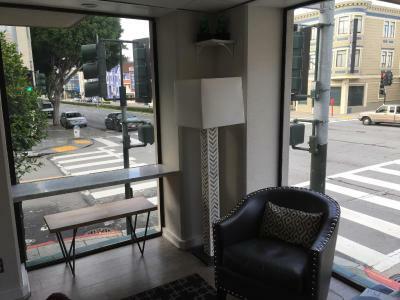 One of our top picks in San Francisco.Located in San Francisco’s Marina District, this hotel is 1 mi from Fisherman’s Wharf and offers a deck and free on-site parking. 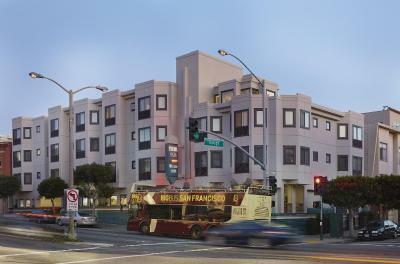 Buena Vista Motor Inn features free WiFi in every room, and some rooms offer views of the Golden Gate Bridge. 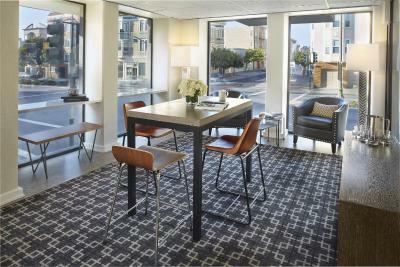 Cable TV and a seating area are offered in the traditional-style rooms. There is also a coffee maker and hairdryer. Rooms with a microwave and fridge are available for an additional fee upon request. 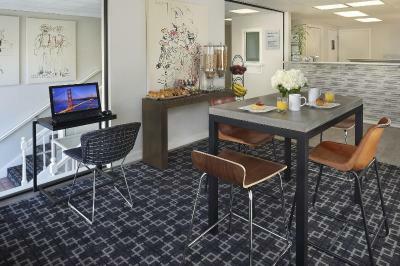 Guests can enjoy a continental breakfast of muffins, pastries, cereal, and fresh fruit in the Pan Pacific upper lobby. They can also use the business center. The famous crooked Lombard Street is 9 minutes' walk from the hotel. Aquarium of the Bay and Alcatraz Cruises are 1 mi away. 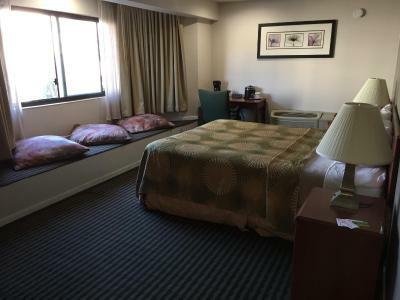 When would you like to stay at Buena Vista Motor Inn? Offering free WiFi, this air-conditioned room includes a TV with premium cable channels and a tea and coffee making facilities. Refrigerators and microwaves are available on request. Bed type preference cannot be guaranteed as it will be allocated upon arrival based on availability. This room has a possibility of being a smoking room. 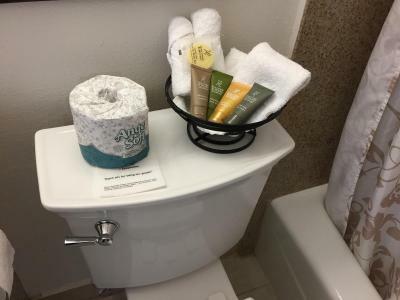 House Rules Buena Vista Motor Inn takes special requests – add in the next step! Buena Vista Motor Inn accepts these cards and reserves the right to temporarily hold an amount prior to arrival. The walls are thin so you hear the people upstairs. Not horrible though, just noticed the sounds. Security is really poor. Staff gave us the room that the guest still did not check out yet. So, We got into the room with full of their stuff and we need to go back to lobby to change the room. Then we went out for dinner when we came back there was a staff open the door of our room and walk out of our room which he tell me that he fixed the tele. The Hotel is located on a very busy road, Lombard Street which has heavy traffic on it from 4:30am. Furthermore there is no double glazing so traffic sound travelled straight into the room making sleeping very difficult ! The crowded breakfast / lobby area . Ice Machine loud when people are using it, Breakfast was good however scrambled eggs and a bit of bacon would have been nice, get rid of the high sugar pastries. Building was somewhat rundown. Soda machines didn't work on any floor. Elevators didn't work at times. Decent breakfast. Free parking. Very good location for catching hop-on-off bus.